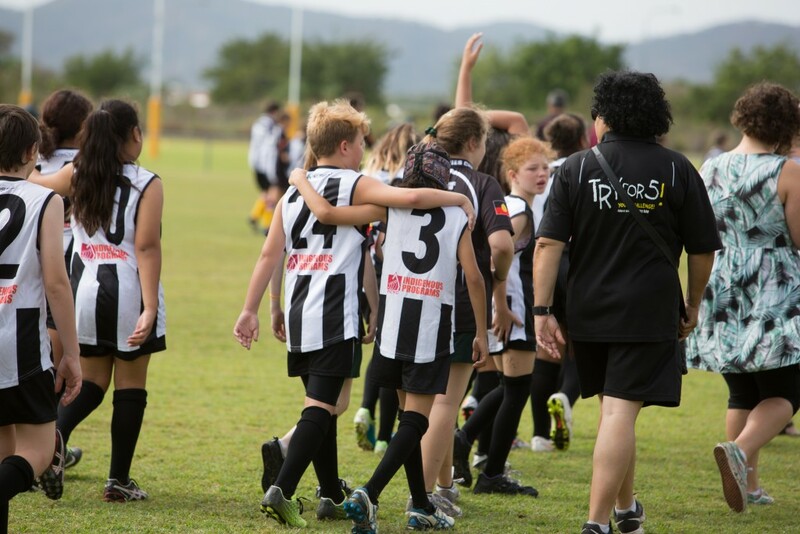 Two hundred and fifty primary school children from far North Queensland will compete on Friday 24 August in the Garbutt Magpies Cup and long-term sponsors, Ausco Modular, is asking the public to come along and cheer them on. For the fifth consecutive year, schools from across far north Queensland will compete in the AFL competition. This year 13 schools will be represented through the 16 teams participating. 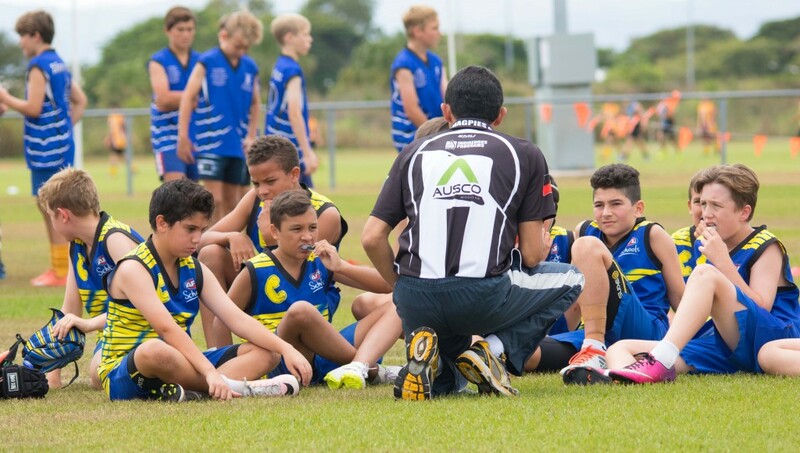 The competition was established by the former Garbutt Magpies Club at the request of the AFL who wished to engage more with Aboriginal and Torres Strait Islander youth in Queensland. Several former Garbutt Magpie AFLQ players and an Ausco Modular representative will travel across the region, visiting participating schools, presenting the players with their shirts purchased by Ausco, and delivering a mentoring session to the students. Open to all year five and six male and female students from all cultural backgrounds, the Cup uses sport as a vehicle to promote messages of resilience, strength and connectedness to kids on the cusp of adolescence. Ausco Modular is proud to return as sponsor for the fifth consecutive year and is delighted to be involved with an event that has so many Aboriginal and Torres Straight Island mentors. “The students participating in the competition will enjoy the mentorship of former Garbutt Magpies players who share stories and offer their perspective on life and growing up,” said Ausco Manufacturing Manager Craig Canning. “For the Aboriginal and Torres Strait Islander students, watching mentors from their own cultural background will be a special experience. The Garbutt Magpies Cup chairperson, Leon Stubbs said that the competition is reminiscent of a time when community members played a greater role in the lives of young people. “From the 1950’s through until 1989 the Garbutt Magpies Sporting Club was an important part of the Garbutt community. “It was more than just a sporting club–it was a second family to the local kids that played AFL, Rugby League, Basketball, Vigoro, Cricket and Softball. “The coaches and other adults were genuine mentors and role models to these kids, but unfortunately this sense of community connectedness doesn’t exist as much today. “Students are seeking an opportunity and need the support the family Garbutt Magpies and Ausco created. They want respect and understanding. They know they have it and now need to stand strong and create their future,” Leon said. The Garbutt Magpies celebrate the ongoing benefits of this support and mentorship with four at risk students returning to complete their High School Certificates. Two of these students were competitors in the first Garbutt Magpies Cup. “These children would have been lost in the system if not for the pathways from the Garbutt Magpies to Abergowrie College,” said Craig Canning. The Garbutt Magpies Cup will take place on Friday 24 August 2018 at Murray Sporting Complex from 9:00am. The round-robin competition will conclude at 2.30pm with one team taking home the prestigious cup for the year. The competition will expand to high school students later this year with 200 male and female students from 10 schools contesting the inaugural senior school cup.